To be absolutely honest, we don’t spend as much on shoes as we do on clothes. It kind of makes sense, for much of our fashion trends are related to it. Rather it can be said, stem out of the clothes we wear. But what about shoes? Are they not important? Well, if you thought so, it is time form some serious reconsiderations. Shoes are that part of your clothing ensemble which speaks much about your style preferences and character. A good pair of shoes can elevate your status in minutes, whereas a wrong one, let’s not even get there. 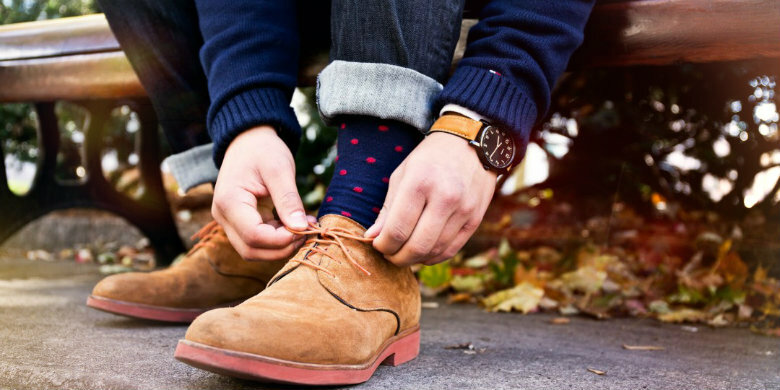 Focusing much of the article on shoes, here is a list given below that deals with 5 types of shoes that every man is supposed to own, every man is supposed to try out this season. Read on and discover more! With the summer approaching, and the weather becoming bright in general, if you are looking for the right pair of shoes (formal mind it), then nothing can beat a classic pair of formal shoes. Smart to look at, and comfortable to wear (owing to the holes which allows your feet to breathe), formal shoes enhances your overall look. A fresh take on your shoe rack, this particular pair when picked in matt finish gives a subtle refresh to your formal footwear. Classy and flawless, a pair of boots, whether it is for a formal or casual occasion, will always bring in a touch of versatility to your look. On the aspect which is known as comfort, boots check out big time thanks to their adaptable design. They are perfect for all seasons and weather type with their neat finish. Wholesale clothes suppliers and shoe suppliers have a plethora of boots designed for you, which you can pick up according to your taste and preference. And when it comes to picking up shoes solely based on comfort and versatility, nothing (and absolutely nothing) can beat a pair of white trainers. Match them with your casual clothes or wear them under a smart suit, they are destined to look good, elevating your approach to new heights. They are a spring/summer staple and look anything but flashy. The pristine shade of white adds to their overall nifty design, making them perfect for all weather, all occasions. Another pair that highlights comfort and versatility is loafers. As mentioned earlier, shoes do contribute much to your look! When confused about which pair of shoes to wear, there are always the loafers waiting for you, to exploit them. they are fresh to look at and the best part, whether you are going clubbing with your friends or attending a meeting with clients, loafers are an ideal pick for all, making them a must have in every stylish man’s (even the messy ones) shoe wardrobe. Experimental in nature, and refined to say the least, brogue shoes are the best pick as they suffice much for the bright summer shoe motif. They are perfect to pull of the smart-casual inspired appearances mixed with a lot of jazzy shiz (thanks to Ryan Gosling in La La Land). They showcase a faultless cinematic panache which every man is ought to try. In conclusion, it can be said that a good pair of shoes is like perfume. You once put it; much of it will determine your character (in general accordance). With shoes and wholesale clothing distribution undertaken by prominent manufacturers, interested retailers can always make a purchase that will impress their customers. Discounts are available on making bulk purchase.